JUT, a series of different pieces specifically designed for outdoor and indoor spaces in the forefront of modern design: a sun lounge, a sofa, an armchair, one chair, two tables of different size and an innovative extendable table, as well as some stools and a high table. Impossible, rectilinear and pure shapes, which are difficult to obtain with the process of fabrication like rotomoulding technique, are a reflection of mineral inspiration and the sophistication of their technique creating unprecedented products for outdoor furniture. VONDOM offers these pieces in different colors, very bright shades that give the furniture an even more original touch. The sofa, chair, armchair and the sun lounge are complemented with padded cushions made of sailcloth in different colors which suitable for outdoor use. 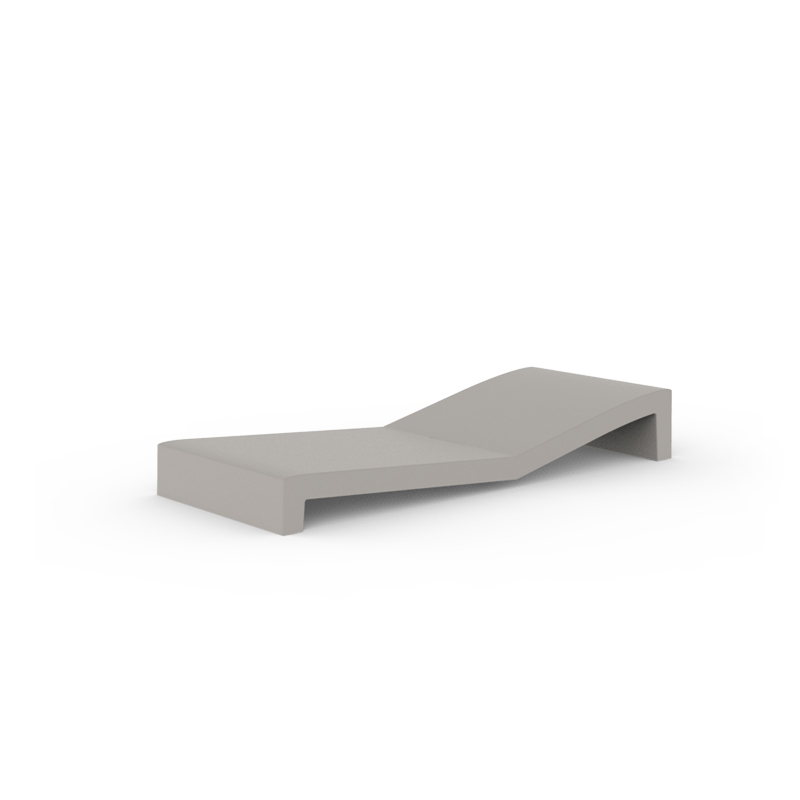 The ergonomics, the functionality and the ecology are other key features of JUT, which include drainage holes, “buttresses” to assure the maximum comfort when sitting or lying down. The innovative & recyclable material is deal with the maximum market requirements to guarantee a long-life use supporting the most extreme atmospheric conditions keeping their colors during all their life. All these factor make these pieces the best solution of furniture for both indoor and outdoor using. The collection JUT, unique at its class, is produced using special moulds designed by VONDOM, and manufactured by a technological process with which obtains exclusives pieces. Made of polyethylene resin by rotational moulding. 100% Recyclable. Item suitable for indoor and outdoor use. Available with different finishes.